Our specialist team represents businesses and individuals facing prosecution by the Health and Safety Executive, Environmental Health, Trading Standards, Department for Business, Enterprise & Regulatory Reform or any other regulatory authority. If you are facing investigation or prosecution for a regulatory offence, we provide advice from the outset so you fully understand what the process involves. In some instances our early intervention can stop an investigation from progressing to a prosecution before the courts. The prosecuting authority may ask you attend a formal interview, under caution. It is important to understand whether you should attend the interview and we can advise you on this. Should you decide to be interviewed we can accompany you and provide legal representation throughout the interview – in order to protect and advance your legal rights – as well as representing you at Court if the case goes that far. Leathes Prior’s Tim Cary, a national specialist in clamping, and David Richards are advisers to the BBC’s Watchdog on transport issues. Leathes Prior is excellent in every way. The knowledgeable Tim Cary advised local businesses on appealing HSE enforcement notices, and defended a hospitality company against Health & Safety at Work Act claims. Tim Cary is a regulatory expert who achieves the best outcomes. 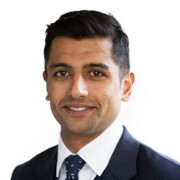 Leathes Prior’s Tim Cary and Tej Thakkar have a good understanding of case law and advise clients on realistic outcomes. Leathes Prior provides good, prompt advice through Tim Cary and Tej Thakkar, who are professional and impressive. 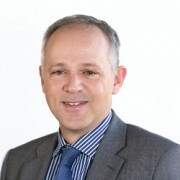 Leathes Prior’s head of business regulation and defence Tim Cary excels in defending corporates and individuals against HSE and Food Standards Agency prosecutions. 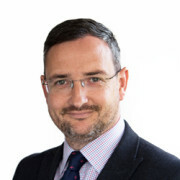 At Leathes Prior, the extremely thorough Tim Cary leads a team praised for its ease of access to partner-led advice, and strong focus on customer service. Highlights included Environment Agency investigations into potential breaches of packaging, waste and import regulations. Leathes Prior’s Tim Cary is an expert in regulatory law, advising hotels, restaurants and retailers around Norwich. 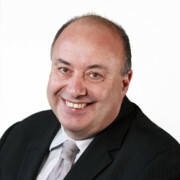 At Leathes Prior, outstanding regulatory lawyer Tim Cary is a nationally recognised expert on clamping. The firm has a nationwide presence for motoring offences through its Traffic Lawyers brand. A highly respected regulatory lawyer, Tim Cary at Leathes Prior has a strong following among hotels, restaurants and retailers around Norwich. Clients report a very positive experience in dealing with Leathes Prior. Tim Cary gives prompt, helpful and relevant advice. Leathes Prior attracts very high praise from clients. Regulatory lawyer Tim Cary has over 30 years’ experience advising and defending individuals and businesses facing prosecution. He is ably assisted by rising star Tej Thakkar.